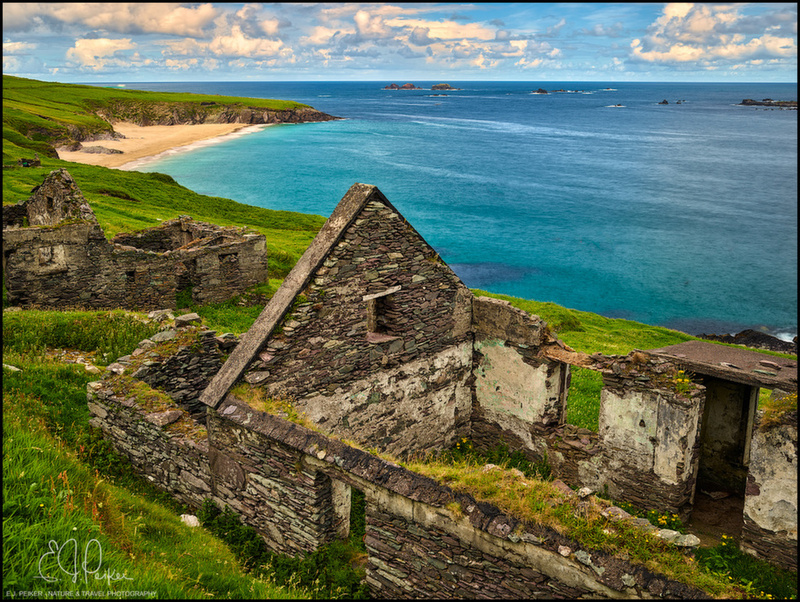 The ruins on Great Blasket Island off of the west coast of Ireland. Great bird's eye view-luscious colors and a wonderful view of the ruin. Love how far this goes back into the distance. Makes me want to be there! Such a beautiful photo of this amazing place! It looks so idyllic, and only those who actually lived there in past times knew the harshness of trying to survive on the island at the mercy of the terrain and the wild seas.